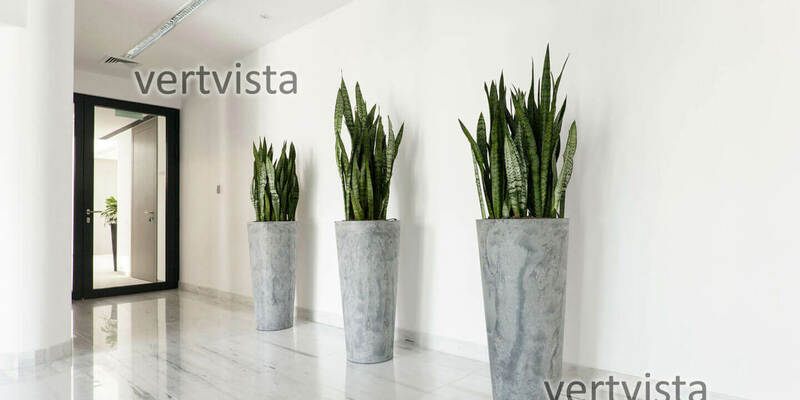 Vertvista manufactures custom FRP pots/ FRP planters. FRP or fiber-reinforced polymer is a UV resistant sturdy material. FRP pot/ FRP planter is light weight, unbreakable and weather resistant to both extreme temperatures and rainfall. It does not deteriorate over time. We employ the latest manufacturing techniques, skilled workers, and deploy the most innovative ideas along with standardised quality checking techniques; which ensures a high quality product. Each pot is made as per the design requirements. Sizes, shapes and finishes are customized to give a unique look for each client. Fibre-reinforced plastic is a composite material made of a polymer matrix reinforced with fibres. The fibres are normally glass, carbon or basalt. Each fibre brings in it characteristics based on the intended use of the final FRP planter. FRPs are commonly used in the aerospace, automotive, marine, and construction industries. They are commonly found in ballistic armor as well. With the right combination of fibre and matrix, right orientation and apt quality of the raw materials, desired combination is applied over the moulds. Mixture is then left to cool off and harden. Heat released during the cooling off process can weaken the strength of the FRP pot if not done correctly. During this process the de- moulding has to be done with the right technique ensuring the FRP planter does not – budge, deform or crack.